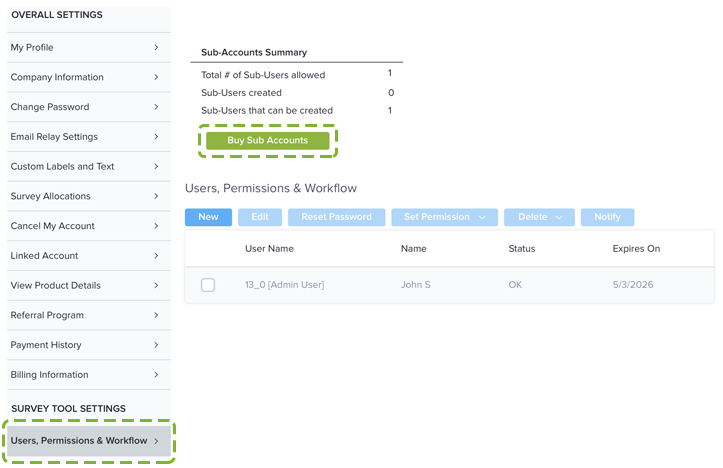 When you are ready to expand your team, you can add sub-users to your account. Later, you can create and assign them Permissions. First, here’s how you add sub-users. Click Users, Permissions & Workflow option in the menu on the left. Click on the ‘Buy Sub Accounts’ button to purchase a sub-user. You will be redirected to the Billing page. Enter the details and click on the Submit button. You will be redirected to the Confirmation page. Click on the Submit button to proceed. If the transaction is successful, click to continue to your account.